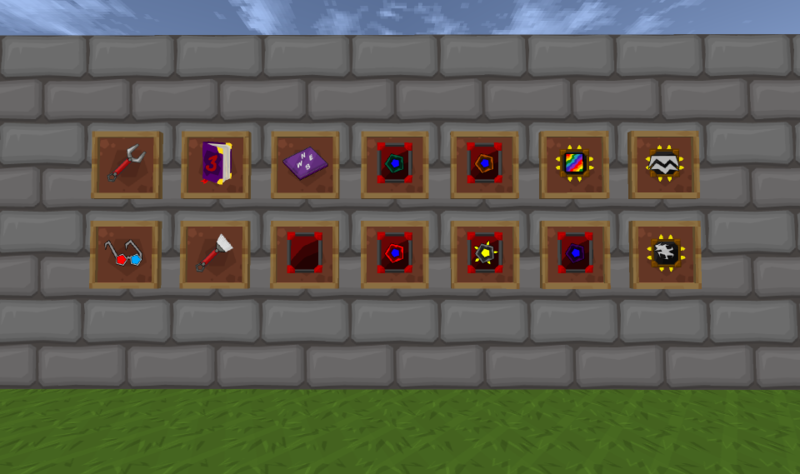 EnhancedPortals started out as a mod designed to give you a bit more customization for your Nether portals. You could increase the size, shape, or change it's colour. 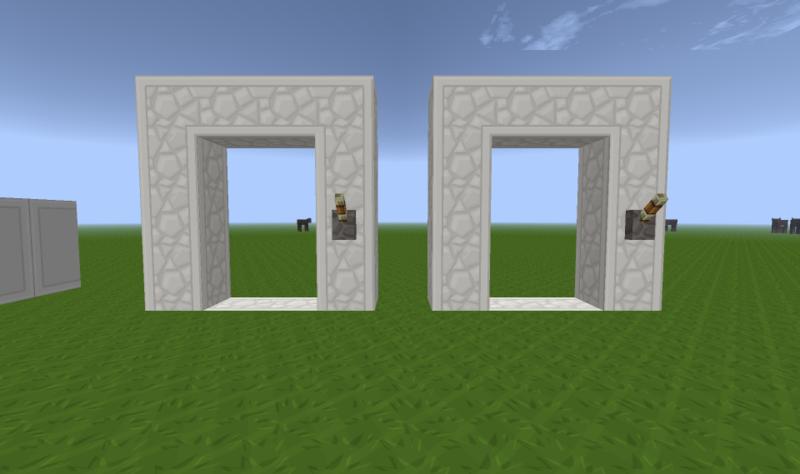 EnhancedPortals 3 takes this even further by leaving behind the focus of being a fully functional, boring, Nether portal. Do you like some other portal mods, but feel that lack certain functionality, customization, or are way too easily achievable for instantaneous transportation? EnhancedPortals 3 tries to solve all of these issues by offering up some unique and powerful features. 10 June 2014 - Added download for 1.6.4 Final release. 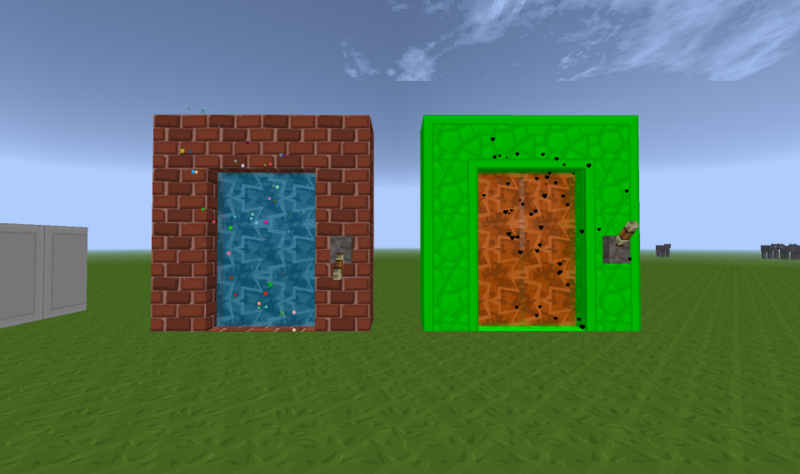 GUI's completely remade. Last edited by Novamanga on 02 Jul 2017, 11:09, edited 20 times in total. looking really good dude! can't wait to get my hands on this patch! You need to sharpen up the inner shadows. BDcraft doesn't have much blur to the shading. It's relatively stark lines. I would also think twice about only having 1px lines at 128x. While it is the recommended resolution about 50% of the community uses 64x and a 1px line divided by 2 basically becomes nothing visually. It isn't desperate though and if it destroys the look of the texture you can forgo it. You may also want to try some glow around any of the raised parts to actually try to give more of an illusion of height, but it doesn't always make it look better. Lastly you need to find a way to remove the semi-transparent pixels from the edges. Minecraft doesn't like them and sometimes converts them oddly. There is a PhotoShop action in this thread towards the bottom of the OP. Thanks for your work on the patch! One suggestion is to work on the dimentional bridge stabilizer first since the frames can be painted with any other textures using the brush while the bridge stabilizer can't and is ugly as hell. I would like to ask if someone is still on this mod, if not i would try to put some textures from Enhanced portals 2 into a pack so that most of the blocks would have a texture.So far I got every portal Block and the standart texture of the portal color(inside) I got some textures for the portal(inside) but even in the right folder i cant get them to work. I also took the iron block from the sphax alternate textures (a bit darker than the original one) and used it for the bridge stabilizer. I cant do the textures myself so someone would need to do a few items and gui's and this Addon would be Completet. Edit5: Link will be updated in a few minutes. Last edited by xF4m3 on 12 Mar 2014, 21:53, edited 1 time in total. @Daxtillion If you're not able to do textures on this mod, I will hand it over to someone else, as it seems xF4m3 would like to take this over. @xF4m3 If you would like to take this over permanently, let me know and I'll give you ownership of this thread. @Aedaeum Nah I dont think I will take it over because I cant texture myself, I just used what i could find in the net so we have atleast decent textures aslong as there is no completet one. I hate it when I play modded Mc (especially FTB) when I have blocks that are not textures, they bug me somehow and when I found the Enhanced portals 2 Texture addon and saw that most blocks were already made , just in one giant .png because that's how it was in 1.5.2 before we got single .png's for every block, I split that giant .png into singel ones, took the existing portal animations and used the Stablilizer from here and cut it, rotated it as I needed for the files and put erverything in the right dictionary. I would add all things to that Pack bit by bit when some people would texture them but I think when they can make textures they also know where they belong so i don't want to take it over.Also I tend to get all fired up on something when I just got to know it and after a while I am not that intresstet anymore so I don't know how long I will check here regulary.